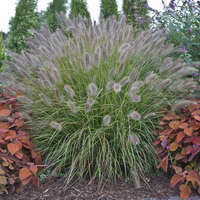 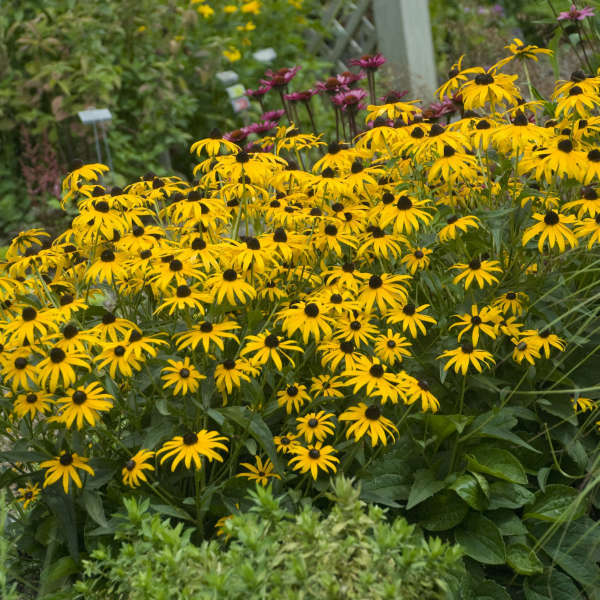 Nicely sized for city gardens and containers, this sturdy, upright selection stands about knee high. 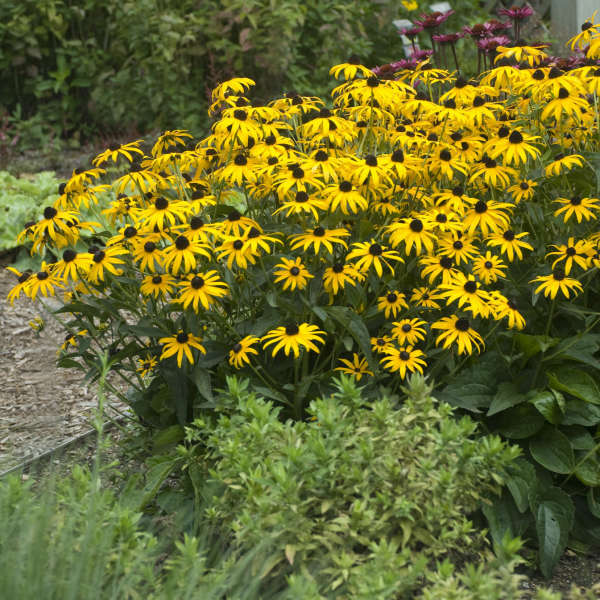 It is loaded with golden yellow flowers with a brown cone over a long period from midsummer to early fall. 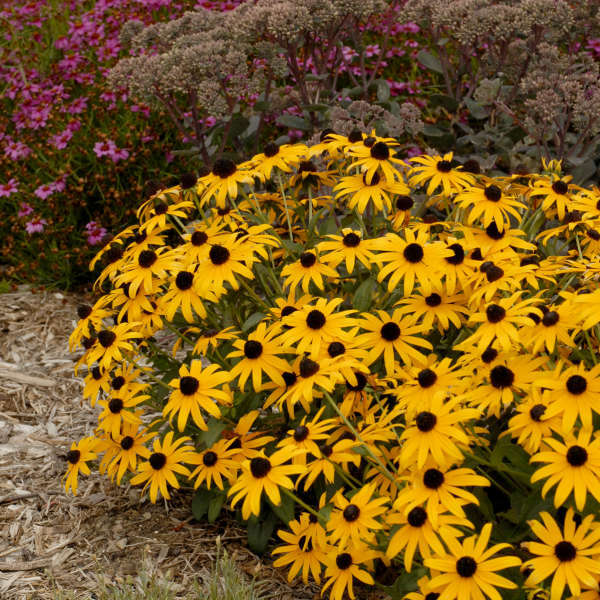 A great long blooming perennial for adding a bright spot of color to sunny landscapes.